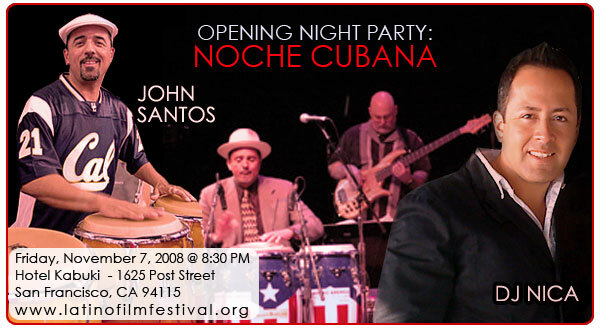 Title: Opening Night Party: Noche Cubana! Sponsored by Wells Fargo & Joie de Vivre. Experience the jiving beats of John Santos and DJ Nica and indulge in wine, cocktails and cuisine from different corners of the Latin world.